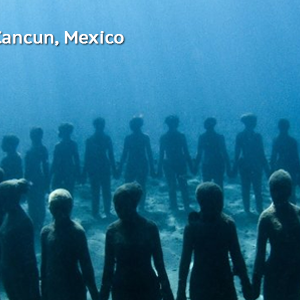 What’s better than snorkeling through an amazing Underground Museum? Getting a Sub See Explorer to bring you even closer to the statues in the Museum, and then snorkeling amongst it! 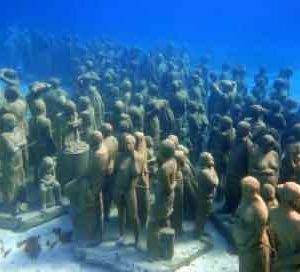 You will get to see the Museum from a unique 360 degree perspective from the depths of the Caribbean Sea. This incredibly unique tour is one of our most popular and one not to be missed. 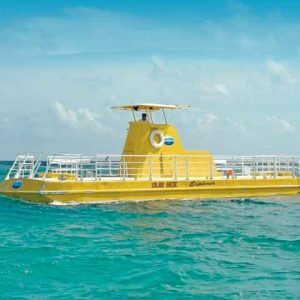 Your vessel for the day is the new Sub See Explorer; a part boat, part submarine that will glide effortlessly along the Caribbean Sea before submerging to give you the best view of the amazingly intricate statues on the sea bed. 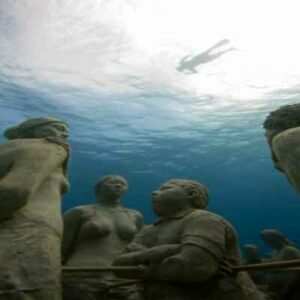 This Museum of Contemporary Art is located under the Marine Park of the gorgeous Isla Mujeres. 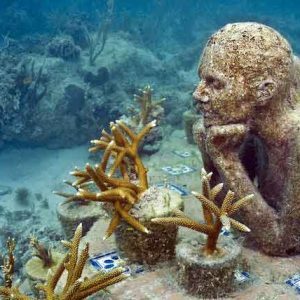 It has 500 life-sized sculptures designed by six different artists which provide protection for marine wildlife and help spread live corals. 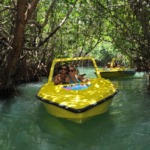 Once we have explored the Cancun Underwater Museum, you will be taken into the mangrove channels surrounding Cancun aboard the Sub See Explorer. 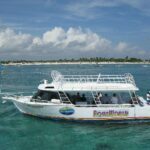 The Sub’s wall to wall underwater viewing glass area will give you amazing views of the complex root structure of these Mangrove forests and the incredible marine wildlife that live among it. 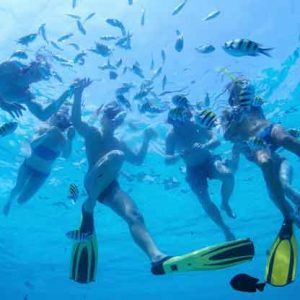 During the Sub tour you will have numerous opportunities to snorkel in the warm waters and explore the fascinating wildlife and Museum by yourself. 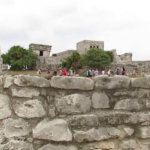 This educational and unique tour is one of our most popular and one not to be missed! Tour operates daily, Departs at 9:00 a.m., 10:00 a.m., 12:00 p.m., 1:00 p.m., and 2:00 p.m.
Tour was great. 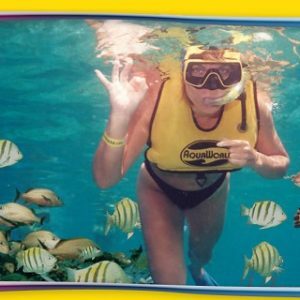 Opportunity to snorkel as long as you want. 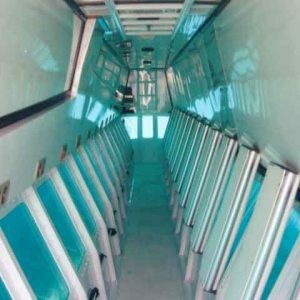 Would be nice to have some snack on board.